MA Advertising end of the term congratulations! Posted June 18, 2017 . Filed under CMC News. On behalf of the programme team, Rutherford congratulates the MA Advertising students on the completion of the programme. BA (Hons) Politics and Media students presented their work to the Media Team of Amnesty International, UK. Posted June 14, 2017 . Filed under CMC News, Industry, Placements, politics and media, Students. 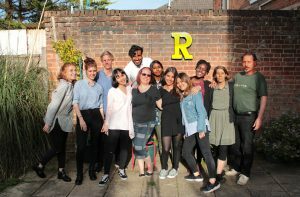 Final year students of the BA (Hons) Politics and Media worked on a ‘live’ assignment in the context of their New Political Communication unit (led by Dr. Anastasia Veneti) with the Media team of Amnesty International UK. On 9th May 2017, students presented a 12-month Media Plan to the Head of Amnesty’s Media, PR and Supporter Care team, Mr Niall Couper and Mr Laurie Hanna, AI Press and PR Manager. The students who undertook this assignment are: Emily Diaz, Daniel Bradshaw, Benjamin Rawlings, Benjamin Thomas Piper, Alice Fews, Lauren Webb, Daniel Joseph Williams, Benjamin Tuff, Lydia May Keys, Jana Silver, and William Alexander Lindsay-Stewart. This represents a very positive outcome for these students and for the BA (Hons) Politics and Media programme aligned with our steadfast conviction to develop their employability skills and boost their critical thinking. Photo (from left to right): Mr Laurie Hanna (Amnesty International), Mr Niall Couper (Amnesty International), William Alexander Lindsay-Stewart, Daniel Bradshaw, Benjamin Rawlings, Benjamin Pipper, Dr. Shelley Thompson (Programme Leader BA (Hons) Politics), Alice Fews, Emily Diaz, Dr. Anastasia Veneti (unit leader). Posted May 18, 2017 . Filed under CMC News. The Advances in Media Management (AiMM) research group have been awarded the European Media Management Association’s Doctoral Summer School 2018. AiMM is a cross faculty research collaboration between the Faculty of Media & Communications and the Faculty of Management and this award follows on from AiMMs success in hosting the association’s annual conference at BU in 2013. The Doctoral Summer School will be held at BU between the 2-4th July 2018 and is targeted at PhD students at all stages of their research, as well as early-stage post-docs. Congratulations go to the bid team: Dr John Oliver, Dr Chris Chapleo, Dr Joyce Costello, Graham Goode, Melanie Gray and Conor O’Kane. Posted March 9, 2017 . Filed under CMC News. Upon invitation of the UK Foreign and Commonwealth Office and the Polish Ministry of Foreign Affairs, Dr Paweł Surowiec attended the Polish-British Belveder Forum held on 8 and 9 March 2017 in Warsaw. The focus of the debate was placed on political and business interests, social issues (people-to-people relations) as well as research and education. The forum aimed at furthering the ongoing discussion of civic societies’ organizations, and it was crucial to the deepening of non-governmental relations between both societies in the era of post-Brexit referendum. Dr Surowiec contributed to the section on the development of research and collaboration in the higher education sector(s). Posted February 28, 2017 . Filed under CMC News. 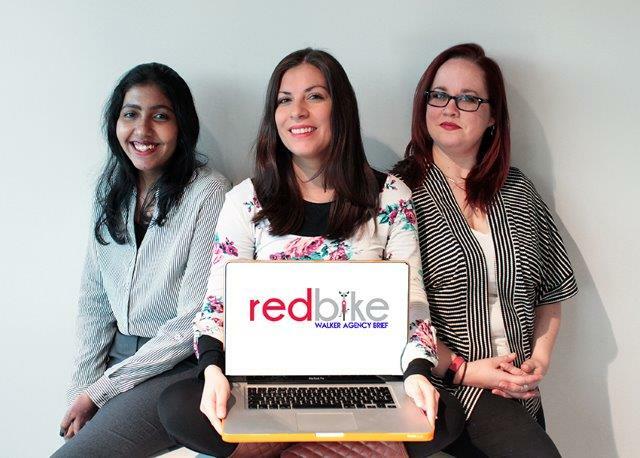 The Millennial Rules project won an award for Excellence in Research Presentation at the Media Research Awards, hosted by Mediatel on 23 February. This is an example of innovative fused activity where students work with experts from media organizations and their tutors to develop and co-create excellent research. I offer some context here. Neil Sharman, a freelance researcher, delivered a guest talk for Consumer Culture and Behaviour that led to a collaborative project with the Marketing Society, Metro, Mail Online and CrowdDNA. Neil, who came up with the idea of the project was impressed with the student’s enthusiasm. He said: “We had some start students in the room and we learnt lots from the insights they produced. They represented BU and their generation brilliantly.” Throughout the day the students worked on a range of tasks to define their marketing and advertising insights with help from experts at the Mail Online, the Metro and CrowdDNA. Neil wishes to pass his thanks onto the Marketing Society for contributing to the success of this project. Posted February 25, 2017 . Filed under CMC News. On Tuesday, 21 February, 2017, Mr. Konrad Jagodziński gave a guest lecture to CMC students and academics about the emerging practice of digital diplomacy. His lecture covered a wide range of issues which the contemporary practice of public diplomacy faces, and it covered links between the digital media technology and the execution of foreign policy objectives. The lecture illustrated the practice of digital diplomacy with examples of multiple networks engagement campaigns such as #BoBPoles. Konrad’s session was followed by a lively Q&A session where students had a chance to ask questions about governance, foreign policy as well as the professional life of communicator working for a diplomatic mission. Konrad Jagodziński has worked as Senior Public Relations Specialist for the Polish Embassy in London since autumn 2013. He graduated with BA International Relations and Political Science from the University of Birmingham and MA European Studies from King’s College London, and also studied at the Humboldt University in Berlin and the European Academy of Diplomacy in Warsaw. In his role at the Polish Embassy, Konrad is responsible for media relations, public diplomacy, and digital engagement. Five years ago ‘Channel 4’ approached the Corporate and Marketing Communication Group (CMC) to ask us to carry out for them some highly interpretive research around the Paralympics – they were interested to know how audiences make sense of the coverage and thus how they might frame this event in future. From this came award winning, nation-wide phenomenological study conducted over the period of 18 months. Indirectly this also led to ‘Channel 4’ re-thinking some of the ways in which they promoted and covered the 2016 Paralympics in Rio. Some of those Colleagues involved in this project decided to delve deeper and edited a book published by Routledge (2015) and entitled ‘Reframing Disability? Media, (Dis)Empowerment, and Voice in the 2012 Paralympics’. As a direct result of being editors of this book Professor Michael Silk approached Carrie Hodges, Dan Jackson and Richard Scullion to form the core bid team at Bournemouth University for the AHRC grant entitled: ‘Re-presenting parasport bodies: the cultural legacy of the Paralympics’. In November 2016, the team got the news that they were successful in securing over £600k to fund a 30 month long series of studies that will involve a variety of qualitative research packages to consider audience interpretations, the media production and dissemination of the Games, related content as well as media analysis. The project will culminate in an interactive public exhibition and a documentary film. Posted February 13, 2017 . Filed under CMC News. On Friday, 10 February, Sean Parkin (Head of Creative at FKC) led the students of MA Advertising through the process of defining the essential factors in developing an effective proposition for a soon-to-be-launched product. Posted January 29, 2017 . Filed under CMC News. A Faculty of Media and Communication academic contributed to a workshop organised by the London School of Economics and Political Science’s Department of Media and Communication. This policy focused workshop, held on 27th January 2017, was entitled ‘The media policies of Europe’s new authoritarianism’. Its purpose was to develop policy response strategies to changing media legislations among the European Union member states among which democracy is drifting away from liberal agendas, and where the principles of media freedom are at risk. Participants of the workshop put forward strategies and tactics to address controversial developments among selected media regimes. Above all, the significance of media policy developments was discussed in a broader context of governance, democracy and media freedoms. The workshop was attended by scholars, journalists, regional and international policy-makers as well as representatives of a number of policy think-tanks. The workshop was held under the Chatham House rule. This event was part of the Media Policy Project hosted by the LSE. Posted January 17, 2017 . Filed under CMC News. 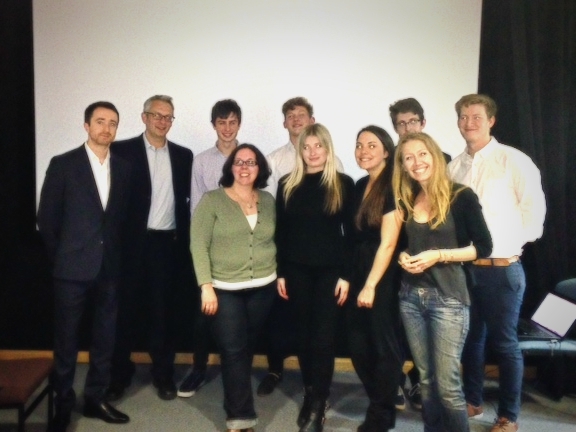 Two of the teams from the MA Advertising unit Advertising Strategy (led by Dr. Richard Scullion) have been invited to present the results of their assignment (which was to develop a pitch for The Walker Agency, Bournemouth) to the agency’s Managing Director and the Senior planner. 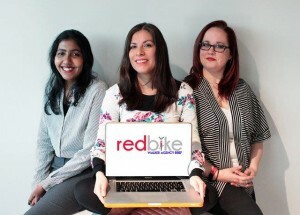 The two teams of students are Toke Hansen and Njoki Kiiru (working together as the Artem Fabula agency) and Siranjani Vaso, Nikki Burgess and Angelica Jimenez (working together as Red Bike agency – pictured). This represents a very positive outcome for these students and for the MA Advertising programme.